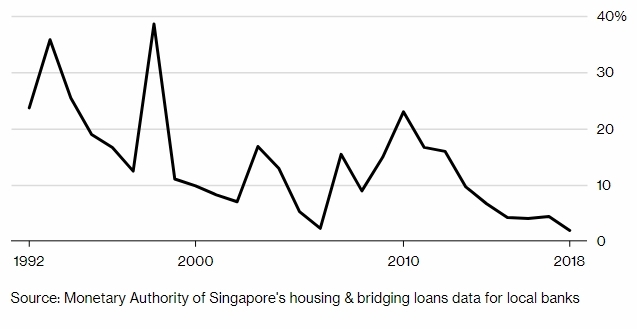 Bloomberg reported on Jan 25 that rising interest rates and the latest round of property curbs have put the brakes on mortgage demand at Singapore’s banks, potentially further dragging down the city’s housing market. The report said that the lack of mortgage demand may accelerate decline in city’s house prices. Referring to the Monetary Authority of Singapore (MAS) data, Diksha Gera, an analyst at Bloomberg Intelligence, said that home-loan growth slowed to 1.9 per cent in the first 11 months of 2018. This he said was less than half the 4.2 per cent increase posted in 2017. Gera said that mortgage demand growth will stay stuck below 2 per cent this year. In pointing to the decline in residential prices which fell for the first time in six quarters in the final three months of 2018, the report said that Singapore’s mortgage demand has fallen to a record low. It added that the home loan growth decline is in danger of further accelerating. Earlier this year, DBS Bank’s chief executive Piyush Gupta said that the property cooling measures imposed last July had “more bite” than expected. Since the property cooling measures imposed by the Government was implemented, DBS property loans segment shrunk by 40 to 50 per cent. In July, the Singapore government increased the Additional Buyer’s Stamp Duty (ABSD) by 5 per cent for individuals and 10 per cent for entities. Loan-to-value limits were also tightened. Mr Gupta, giving an update on DBS’ market outlook for the first half of 2019 at a luncheon, said the bank had expected the measures to result in a 20 to 25 per cent reduction in property loans. 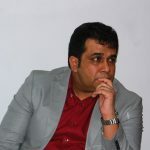 The actual hit however dampened the mortgage demand to around 40 to 50 per cent. 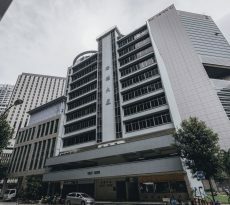 DBS had projected that it will add $4 billion to its mortgage loan book at the start of 2018, and had expected this figure to drop to between $2.5 billion and $3 billion following the property cooling measures imposed by the Government took effect. The amount of property loans came in below these expectations – at under $2.5 billion. 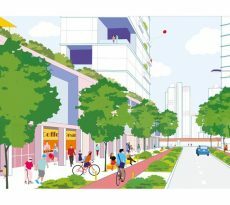 Mr Gupta added that despite the slow property market, he expects Singapore to still see an economic growth of between 2.5 and 3 percent in 2019. This is within the government estimates of between 1.5 and 3.5 percent. The DBS chief also talked about macroeconomic headwinds which is expected to hit global markets later this year. The headwinds include the trade tensions between the United States and China, interest rate hikes by the US Federal Reserve, China’s economic slowdown as well as Brexit, that form a “backdrop of anxiety”. Mr Gupta said these uncertainties will cause financial markets to “yo-yo massively”. The market volatility in the second half of 2018 will likely continue this year. DBS’ chief, in reflecting on the bank’s 3rd Quarter Report in November last year, said he expects DBS loan growth to be in the mid-single-digit growth path, with continued net interest margin progression in 2019. He noted that there has been a moderate slowdown in economic growth, but that conditions are still favourable for expansion. The bank’s 3rd Quarter Report showed that DBS’ loans expanded 8% to SGD 340 billion, led by consumer and non-trade corporate loans. The banks’s net interest margin rose 13 basis points to 1.86% in line with higher interest rates in Singapore and Hong Kong. DBS loan growth was then predicted to be in the mid-single-digit range for 2019 and predicted to continue its rise in net interest margin. DBS is Singapore’s biggest mortgage provider and, in the reporting of its previous quarter, the bank cut its property loans growth forecast by $1 billion, citing that the property cooling measures introduced in July are expected to hit market sentiment. 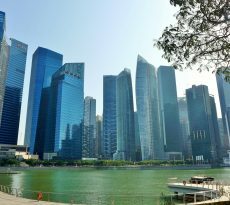 The Managing Director of the Monetary Authority of Singapore said that the property loans have seen 34 per cent year-on-year increase before imposing the property cooling measures. Mr Gupta said the mortgage business is expected to slow down more than earlier expected. The bank slashed its property loan growth forecast for 2018 more deeply by $1.5 billion, saying it now expects new mortgage bookings to end at $2.5 billion for the year. “The fact is, the overall interest rate environment in Singapore is still considered low on a global scale. 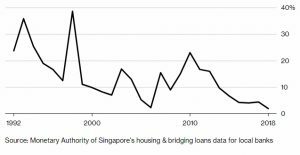 This is one major reason why Singapore’s property market will remain buoyant,” Mr Ho added.